AddFreeStats analytics is a free tool developed to measure and track Godaddy website traffic in real-time. AddFreeStats provides many stats reports on your website and help you understand your business telling you how people find your website, where they spend their time and how many they visit your website. Among some of the things that makes Addfreestats stand out from the rest is its ease of installation and integration to your Godaddy website tonight. Why AddFreeStats provides the best web stats tool? 1)	First you need to create an account at AddFreeStats site where you will get access to a unique tracking code to be used to track your site. The sign up is simple and take less than two minutes. 3)	Log into your Godaddy Website tonight account. 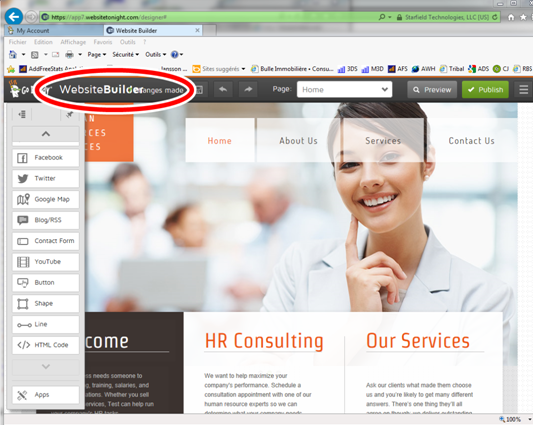 On the "My Account" Page, Find the section "Website Builder/Instant Page" and click on the "+" button. 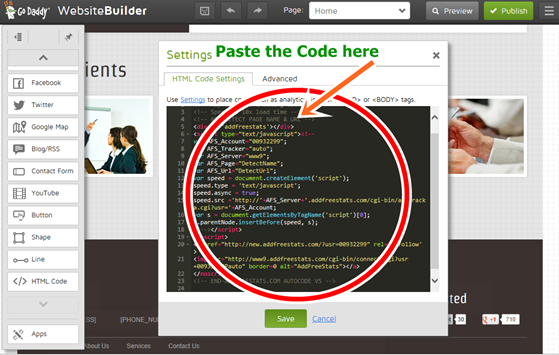 Select the website where you want add the Addfreestats code and click on the "launch button"
4)	After the website builder has loaded, Click on the "EDIT SITE" button. 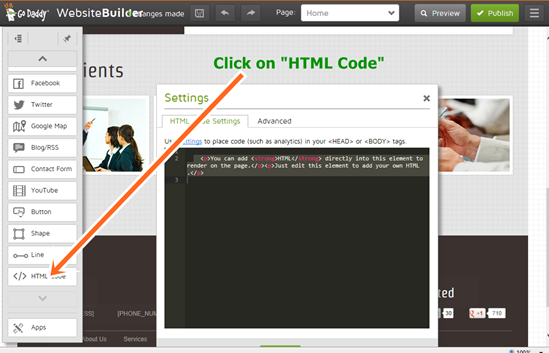 5)	Next, click on the "html code" on the left column. 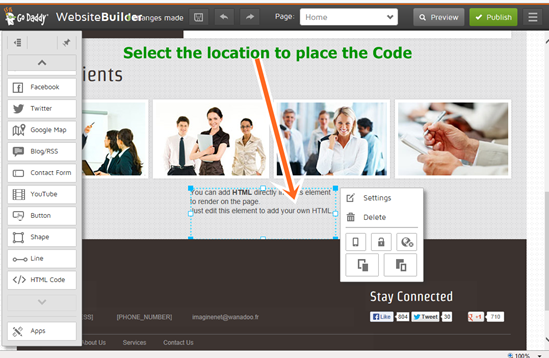 6)	A new window opens where you should drag the box where you would like to make it appear on your site. 8)	Click the save button to complete and save the changes. The changes should now take effect and the AddFreeStats should start tracking your visitors. Addfreestats Analytics is now fully integrated to your Godaddy Website and should be fully functional. To check out the analysis of the site pages instantly, click on the button displayed on your website pages or log in to your AddFreeStats analytics account.